Dr. Gilles Demers had an outstanding career as a veterinarian, and was a tireless advocate for animal welfare in science. He left an indelible mark on the world of animal-based science, particularly in the area of international harmonization of standards of the ethical use of laboratory animals, and at the CCAC where his legacy continues today. Dr. Demers graduated from the Faculté de médecine vétérinaire at the Université de Montréal in 1974. He later obtained a Master of Environmental Science degree from the same university in 1994. He started teaching at the Université de Montréal immediately after his graduation and until 1977 when he left to establish his own veterinary practice. In 1986, he founded the consulting firm Vetconsult, and later joined the CCAC as an assessment director in 1993. Dr. Demers was devoted to helping institutions and individuals across Canada improve the quality of their animal-based science programs. He understood the importance of providing institutions with a recognizable symbol for achieving compliance with CCAC standards, and was responsible for instituting the CCAC Certificate of GAP – Good Animal Practice® in the late 90s. 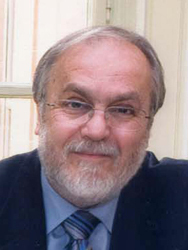 Dr. Demers was a member of the International Council for Laboratory Animal Science (ICLAS), serving as Secretary General from 1999 to 2003, and as President from 2003 to 2011, before being named an Honorary Member in 2013. Through his involvement with ICLAS, he established relationships with peers in North and South America, Europe, Africa, and Asia. During this time, he also collaborated with the World Organization for Animal Health (OIE), which led to the publication of Chapter 7.8, "Use of Animals in Research and Education", of the OIE Terrestrial Animal Health Code. Among the national and international awards and accolades he received over the years is the prestigious Canadian Association for Laboratory Animal Medicine (CALAM) Charles River Canada Award, which he was awarded in 2008 in recognition of his outstanding contributions to the Canadian laboratory animal science field. That same year, he was named Honorary Professor of the Chinese Academy of Medical Science and Peking Union Medical College, and in 2016, he was posthumously awarded the Ordre du mérite vétérinaire by the Ordre des médecins vétérinaires du Québec.